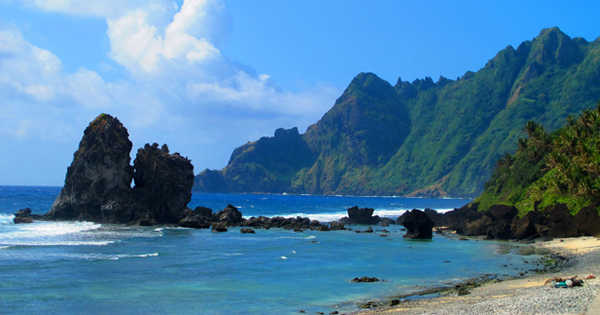 Batanes, without a doubt, is a dream destination for most if not all. With its photogenic beauty and laid-back feel, many travel junkies are fantasizing on travelling there. Check it off your bucket list now and experience a memorable getaway like no other! #1 - Surreal landscapes: Batanes' landscape is distinguished by panoramic rolling hills covered with lush green fields. The best place to experience this wondrous sight and cool countryside breeze is in Racuh A Payaman in Batan, most suitably known as the Marlboro Country. #2 - Diverse range of beaches: The island of Batanes is surrounded by an exceptional coastline with different kinds of beaches. Even as the smallest island in the Philippines, each of its town has relatively distinct shorelines -- hidden coves, rocky coast, ridges, white-sand beach, cream-sand beach, boulder beach. #3 - Mouthwatering food: Though Batanes is not really a gourmet destination, its fresh seafood treats -- especially the big lobsters -- would totally satisfy your taste buds. Those who have a sweet tooth must also try their native delicacy called Uvud balls, made from coconut meat strips and meat balls. #5 - Tropical four seasons: While Batanes has a tropical climate just like the rest of the Philippines, it has been blessed with subtropical weather characterized by hot and humid summers and commonly mild winters. Because of its proximity to Taiwan, they are practically experiencing four seasons. #6 - Stone houses: Due to occasional storms, houses in Batanes are made to withstand the destruction that it can bring. Built with limestone wall, reed, and cogon roof, these houses are one of the most sought-after part of Batanes tour. The oldest house called House of Dakay, constructed in 1887, is the most visited one. #7 - Lighthouses: Standing proud in the island of Batanes is the remarkable lighthouses, the three major ones in Basco, Mahatao, and Sabtang, and some other minor lighthouses. Apart from these structures, there are also other historical attractions such as the traces of the wars that the province has encountered long time ago. #8 - Zero crime rate: The prisons are empty in Batanes as violence and crime is very uncommon in this peaceful island. Even petty theft is a very rare occurrence, hence, the presence of an Honesty Store & Coffee Shop that doesn't have a cashier and the payments are just dropped in a designated box. #9 - Well-preserved heritage & culture: Batanes is one of the few provinces in the Philippines that has retained its old traditions. Here, the locals still make "vakul" or the headdress that they use to keep them out of the sun and rain while working in the fields. They can even teach you to do it! #10 - Lovely local people: Ultimately, the charm of Batanes is in its warm and friendly people. The Ivatans--in which the locals of Batanes are called--are as genuinely beautiful as Batanes itself, always ready to greet everyone with their warm smile.